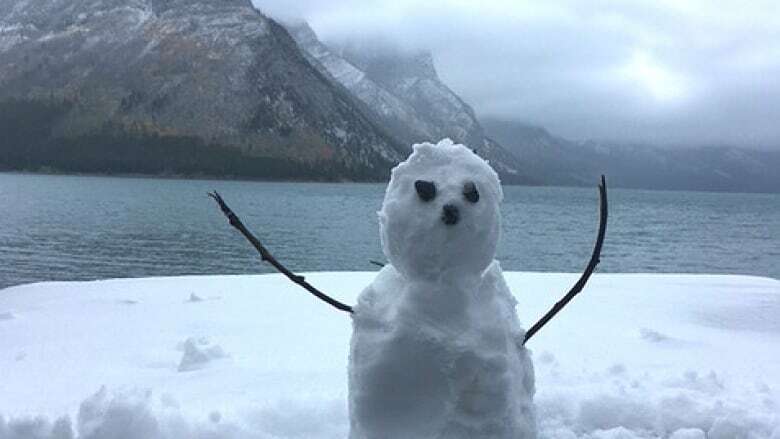 On the final full day of summer, Environment Canada issued snowfall warnings for Banff National Park, Kananaskis and Canmore, saying between 10 and 15 centimetres could fall overnight. "In the Banff townsite, rain is expected to transition to snow early [Friday] evening," reads the warning. "Higher elevations near Lake Louise, Kananaskis and on Highway 93 will see 10 to 15 cm by Saturday morning." Motorists are advised to adjust to deteriorating driving conditions. A winter storm warning is in effect for the Hanna, Oyen and Coronation areas and a freezing rain warning is in place for the Brooks, Strathmore and Vulcan areas. Frost advisories were also issued for much of northern Alberta.